In The Goodbye Look, Lew Archer is hired to investigate a burglary at the mission-style mansion of Irene and Larry Chalmers. The prime suspect, their son Nick, has a talent for disappearing, and the Chalmerses are a family with money and memories to burn. As Archer zeros in on Nick, he discovers a troubled blonde, a stash of wartime letters, a mysterious hobo. Then a stiff turns up in a car on an empty beach. And Nick turns up with a Colt .45. 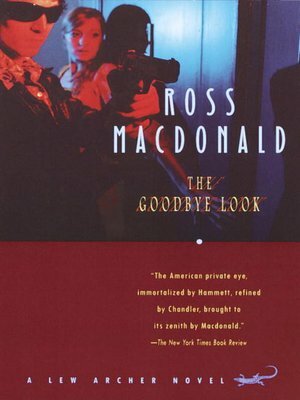 In The Goodbye Look, Ross Macdonald delves into the world of the rich and the troubled and reveals that the past has a deadly way of catching up to the present.